About the Children's Department: Please Join My Launch Team! Grandparents are the second most influential people in the lives of children - second only to parents. And with more and more custodial grandparents, they are becoming the most influential people in the lives of children. What are you doing to engage grandparents in your Children's Ministry? How are you "getting them on-board" with what you are doing in the lives of their grandchildren? In what ways are you engaging and equipping them to hand down a heritage of faith? 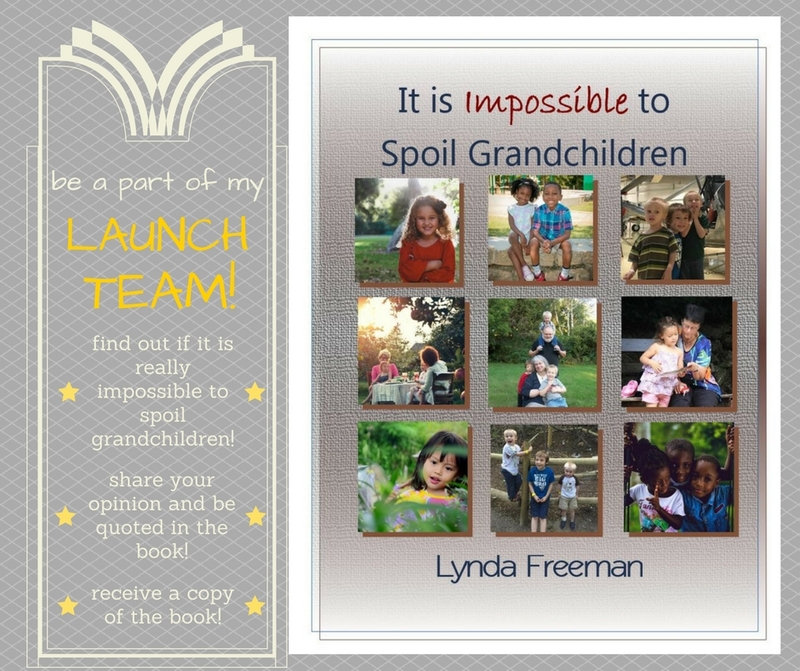 I'm going to be re-launching my book; "It is Impossible to Spoil Grandchildren" and I'm looking for some people to join my Launch Team. If you - or someone you know - are willing to read my book and help spread the word, please join my Launch Team! Please email me - lyndagcj@gmail.com if you would like to be part of my Launch Team for It is Impossible to Spoil Grandchildren!